There are plenty of good bug out bag lists available on the internet, including our very own. 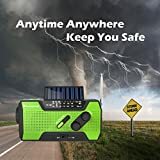 This one is different however, in this bug out bag list I am going to cover some emergency essentials that you probably do not want to be without. Most of the time you want to remain mobile, which is why people will often use a tactical backpack to store their bug out gear. So unless you have a plan to bug out in your vehicle and build a car emergency kit you probably want to travel light. So in my top 10 list below I talk about some emergency essentials that offer a lot without weighing you down. Water is so important to everyday survival but at 8-pounds per gallon, it is almost impossible to carry enough to last you 72-hours or more. 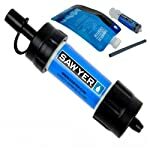 So I recommend carrying as much water as possible and to carry a water filter as your secondary water supply. This way you can turn any lake, stream, or puddle into drinkable water. LifeStraw makes a great personal water filter that you can use just like a straw to drink directly from the source. A company called Sawyer also makes a personal filter that has a few more features that allow you to drink from the source or collect the water and take it with you. A mess kit is basically a plate, a bowl and a cup that you can use to eat your food off of. If you get to the point where you need to cook food, you will need something to cook it in. A good mess kit is lightweight and compact so you will hardly notice that you are carrying it. You also want one that includes its own carrying pouch so you are sure you always have everything you need with you. To cook food or to stay warm you will need a fire. Matches are probably the easiest way to start a fire but they can get used up fast. 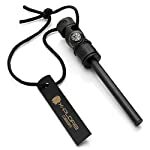 So I recommend a fire starter that will last longer like a Magnesium Fire Starter, or if you are brave, Flint and steel. These, especially the flint and steel could last you for weeks or even months. 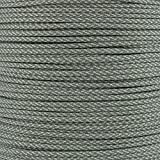 If you need to tie something up, build a shelter, or set a trap, you are going to need some rope. 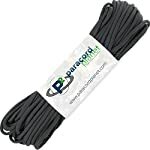 550 Paracord is a staple for any survival kit because it is super strong, compact, and lightweight. It is already great as it is, but if you cut it open you will find even smaller strands of string that can be used to fix clothing. When all else fails duct tape can be the one item to save you. You can use it to fix tools, make traps, makes waterproof bags etc. 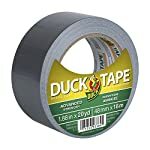 The value to weight ratio of duct tape is 100 to 1, which makes this stuff more valuable than gold in a survival situation. Duct tape can be a bit bulky, which is why it is recommended that you remove the cardboard tube from the roll. You can do this by crushing the roll a few times to soften the cardboard, then you can pull it out from the center. If a natural disaster strikes and electricity is down, credit cards will no longer work and who knows when or if the banks will open. In this case you are going to want to have money in your emergency kit. Paper will work in most cases but if you really want to be prepared you will have a supply of gold or silver coins on hand as well. Pure gold talks in ways nothing else can. 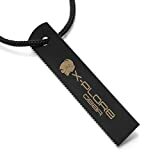 You also want to make sure you have a secure way to carry your money., which is why I recommend you get a money belt or any other type of secure hiding place for your money. 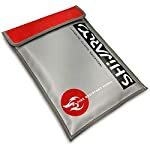 Shivaroo Fireproof/Waterproof Document Bags 15" x 11"
When you take off you probably don’t want to leave your identity behind. Any important documents like your birth certificate or social security card should bug out with you. If you have insurance documents or wills, you should bring them along as well. How you carry around these documents is also important. 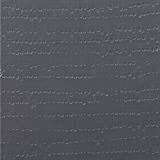 A waterproof document folder is ideal, after all, the last thing you want is to ruin them because of a rainstorm, or slip in a creek. A first aid kit will carry the basics to treat a cut or burn but it won’t have antibiotics. If you have a Bacterial infection the only think that is going to get rid of it in a hurry is antibiotics. Many preppers turn to fish antibiotics which are readily available at pet stores. Another option is colloidal silver. Colloidal silver can be made by running DC current through .999+ silver coins with two or three 9V batteries in series. How will you know what is going on without a portable radio? Information is the key to survival and a radio is the way to get it. 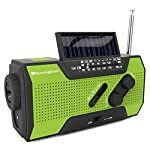 A small crank or solar powered radio will work great and you won’t have to worry about batteries. This an essential item to have on your bug out bag list. More advanced models will even include a built-in flashlight or even a USB charger for your electronic devices. When bugging out it is a good idea to know the area. A local map is a good way to familiarize yourself with your planned route of escape and to research alternate routes in case your planned route is blocked. A map of your state and country is also a good thing to have on hand. You can keep this safe in your document holder. 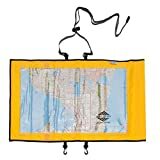 If you live in a wet area, you should pick up a specialized waterproof map holder. This will allow you to use the map even in a rainstorm.